The figs are ripe here at the ranch again. I hate it. But I love it. Why? Because I don’t like figs. I don’t like to eat them, I don’t like to pick them and I don’t like to waste them. 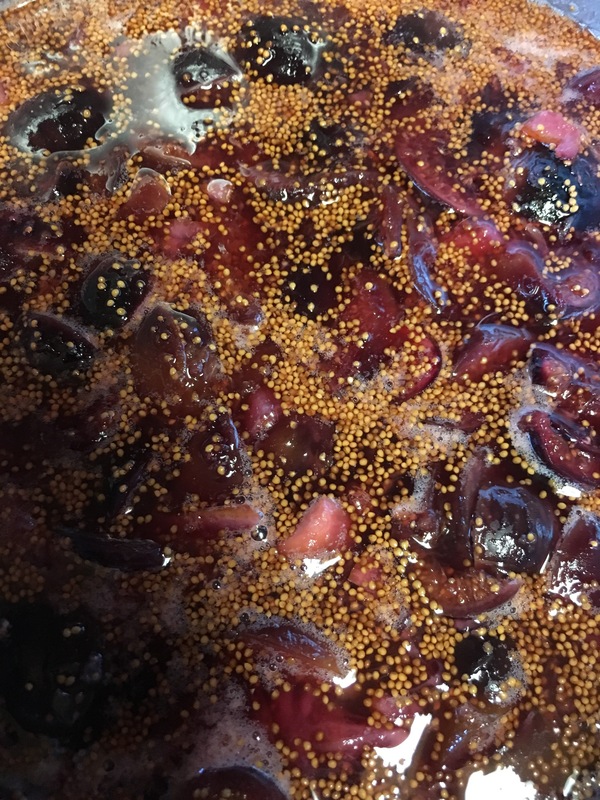 So I force myself out to the fig trees, battling star thistles and rattlesnakes, and pick until I am covered in itchy fig sap and bleeding from thistle pokes, just for the sake of jam. When jam and jelly get involved, I love it! 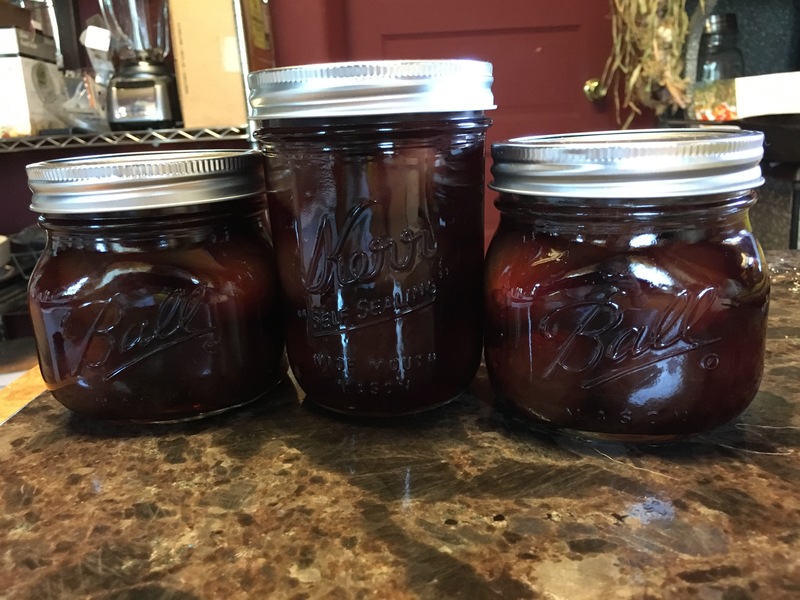 Figs make awesome preserves, jam and pickles and they are free!!!! I usually make 3 or 4 different fig recipes a year. My friends love figs, so I know what everyone is getting for Christmas! I needed to expand my recipe collection this year and since I still had meyer lemons, this was the perfect recipe to try! 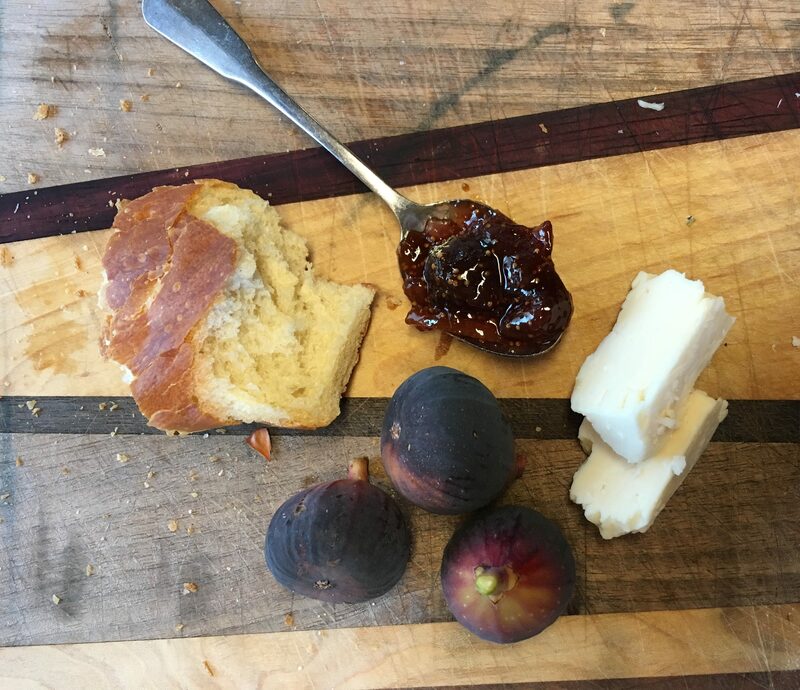 I actually ate this jam and *gasp* kinda liked it even with the figs! The thyme adds something different, which I liked a great deal. Boiling jam. It smells so good! Let cool to room temperature, place a lid on your pan and chill overnight to 12 hours. Bring mixture back to a boil until the lemon is translucent and the mixture has thickened. Add thyme sprigs to mixture and continue boiling until the mixture can pass the frozen plate test. When it does skim foam and discard thyme sprigs. Fill sterilized jars until 1/4 inch headspace and process in a boiling water for 10 minutes. 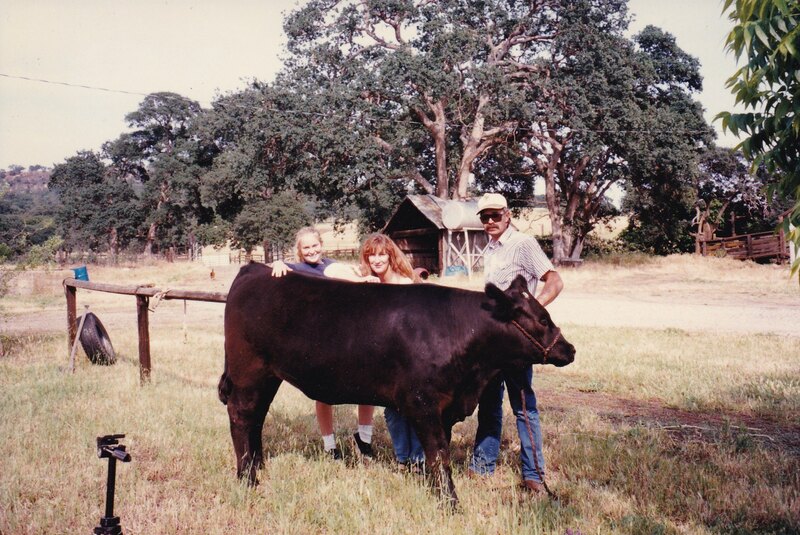 We have several mission fig trees growing wild on the ranch. As a little kid, I spent a massive amount of time climbing and hanging out in the huge, cool fig tree canopies. I have lovely memories of my cousins coming over and playing with me as well, so figs always remind me of that. And pig enemas, but that is for a different post. Around the first of August, when the main crop of missions ripen, I get to picking and canning. I’m not a fan of eating figs because of the pig thing I mentioned above, but I enjoy picking them because it reminds me of being a kid. Plus anything I can grow or glean needs to be canned or pickled, because it does. Last summer I tried this recipe and everyone loved it. 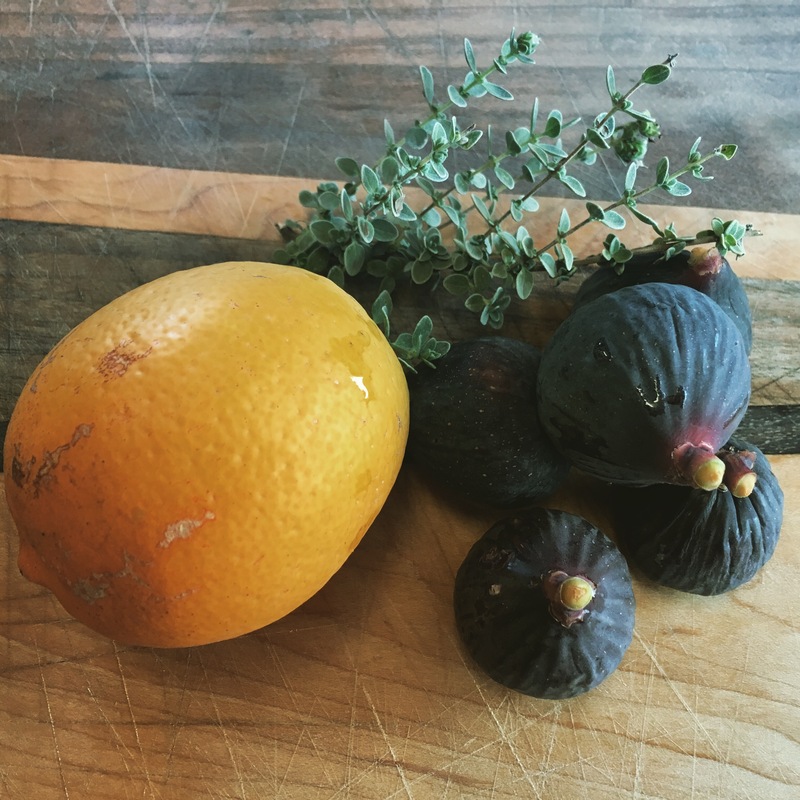 I was told these figs were great as a snack, with charcuterie, on salads, etc. I made them again this year just to compliment my charcuterie plates and so I could blog the recipe for you. 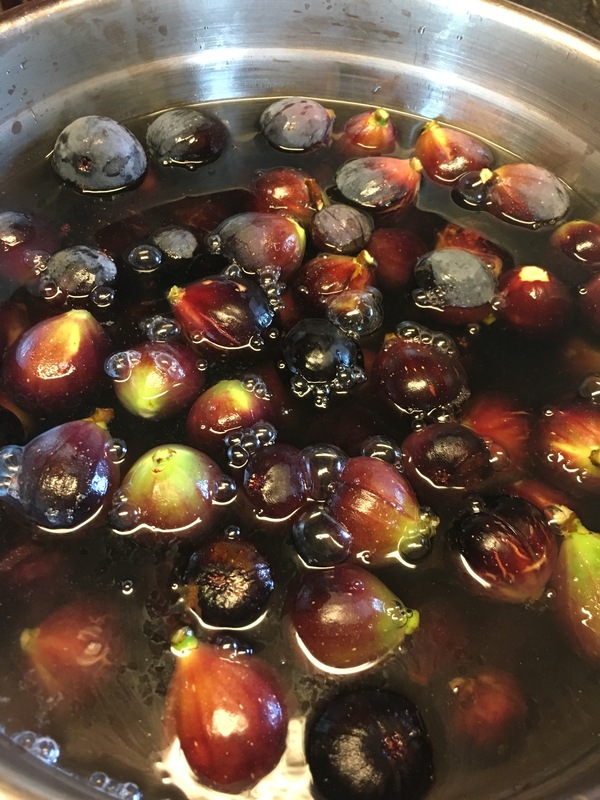 Figs soaking in their hot water bath. 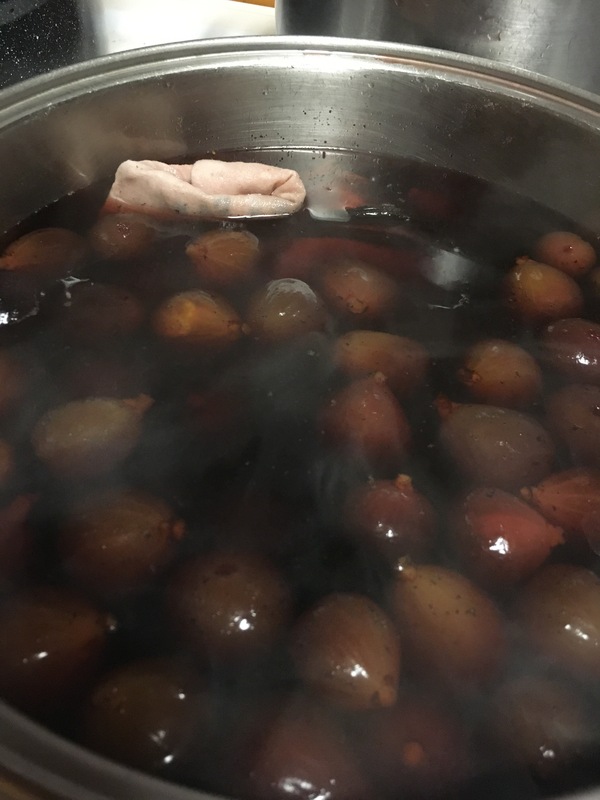 Boil water and pour over figs, let stand until cool. Combine 3 cups of sugar and 2 quarts of water and heat until the sugar dissolves. And the figs and gently cook for 30 minutes. Add 2 cups sugar and vinegar. Tie spices (except for the vanilla bean just thrown that right in with the figs after you slice it open) in a spice bag and add to the figs. Simmer for about an hour. Despite the hot vinegar, this does smell good. Cover the figs and let stand in a cool place for 12-24 hours. Bring back up to a simmer. 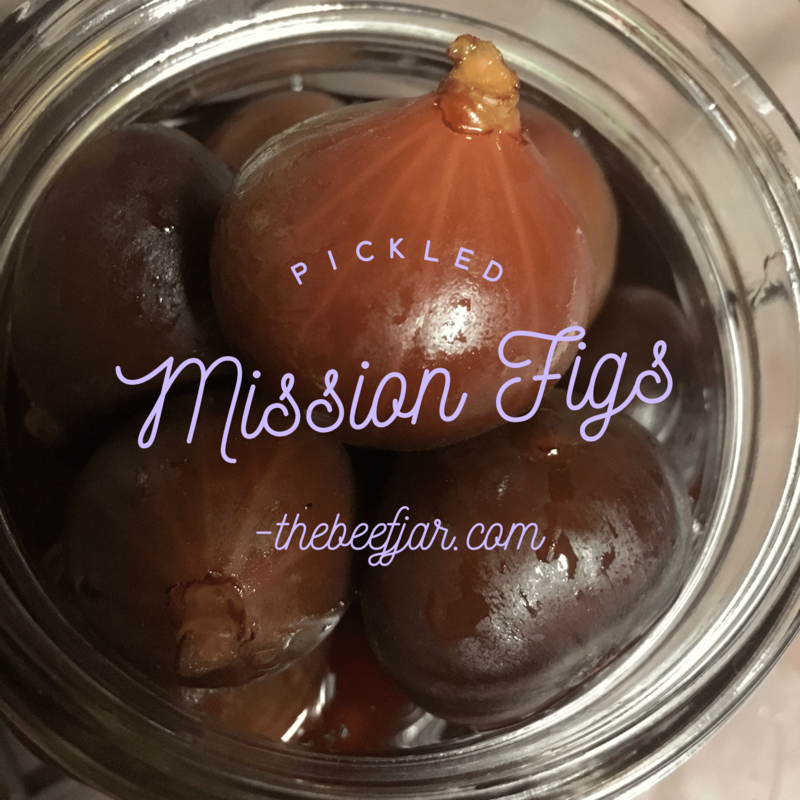 Pack the figs into sterilized pint or quart jars. leaving 1/4 inch headspace. Process 15 minutes in boiling-water canner.